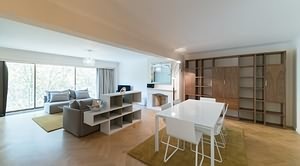 The 39 Arlon also "Chamaris" is a modern luxury property located in the heart of the Léopold district, the first business area of Brussels and where the main EU institutions reside. 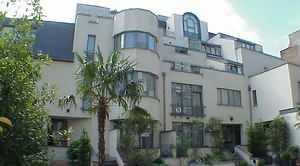 Renovated in 2010, the building is comprised of 7 stories and 23 bright and spacious apartments. 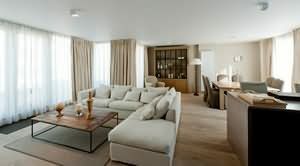 The 39 Arlon offers all the comforts of home with a selection of 1 or 2 bedroom apartments decorated in a tasteful, "Flamant Style" contemporary style of décor, including wood floors and floor to ceiling windows that fill rooms with plenty of natural light. Each unit is equipped with modern amenities such as a flat screen television with international channels and high speed wifi. Kitchens are beautifully sleek and modern, bathrooms are sparkling white with glass shower doors and bedrooms are light and bright, with neutral décor. 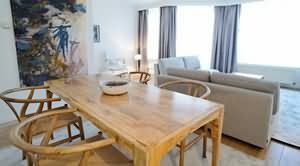 Apartments feature a balcony or terrace for relaxing while taking in the gorgeous cityscape views of Brussels. 39 Arlon features a large, attractive entrance lobby with mailboxes and 2 elevators for the convenience of residents. Indoor parking spaces are available for a fee. Residents also receive complimentary access to the Souveraine fitness centre. 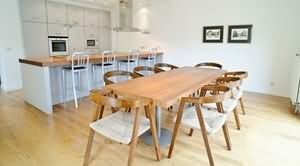 Located on quiet residential street, the property is close to many great restaurants, bars, boutiques and museums and is within walking distance to public transportation, including the subway, train, bus and a taxi stop. For an escape from the city, there are couple of urban parks nearby for jogging, picnicking or simply relaxing. Parc du Cinquantenaire is a large green space that features floral gardens and fountains, while Parc Léopold is an English-style park with beautiful mature trees and a lake. 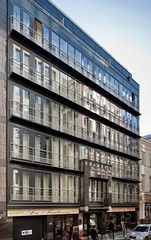 The "Chamaris" Residence is ideally located in the heart of the Leopold district, the first business district of Brussels, where the main EU institutions (Parliament , Commission, Council,..) are located. There’s an easy access by public transport: the Luxembourg Station and the subway stops Trône, Arts-Loi and Maelbeek are just a stone’s throw away. The neighborhood offers you the best what Brussels has to offer: renowned Restaurants, cozy bars and lots of shops. Don’t miss the Leopold and Cinquantenaire Parks, ideal for jogging or just to stroll around. 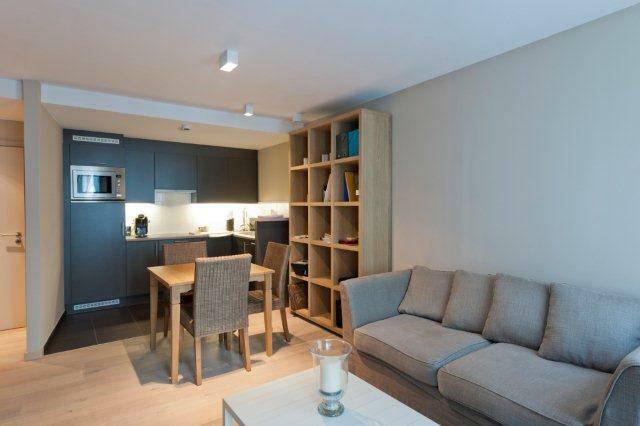 Discover the "Chamaris" Residence with its stylish and comfortable apartments. 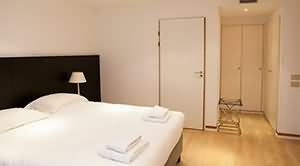 Do not hesitate between work and leisure ... Everything has been designed for you to enjoy your stay with us. Brussels International Airports: Zaventem (15' by car) and Charleroi (1 hour by car). Ask us about our special rates!